Here’s a great little story about cricket interest growing in Ireland. 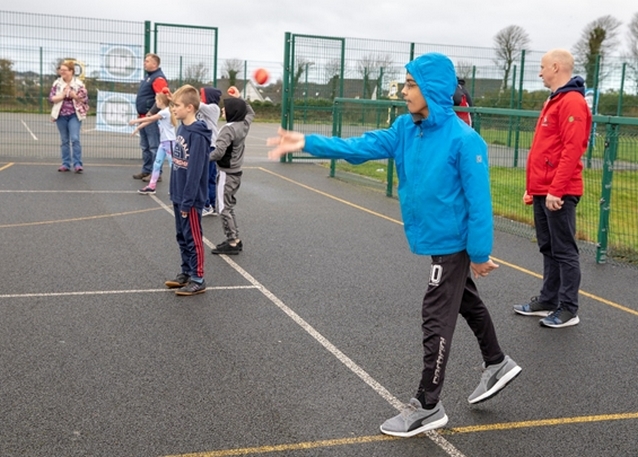 Mayo Sports Partnership and the Ballyhaunis Sports Hub, in conjunction with Active Communities Network and Cage4All, recently launched Cage Cricket at Scoil Íosa NS Ballyhaunis - the event forming part of Mayo Social Inclusion Awareness Week. 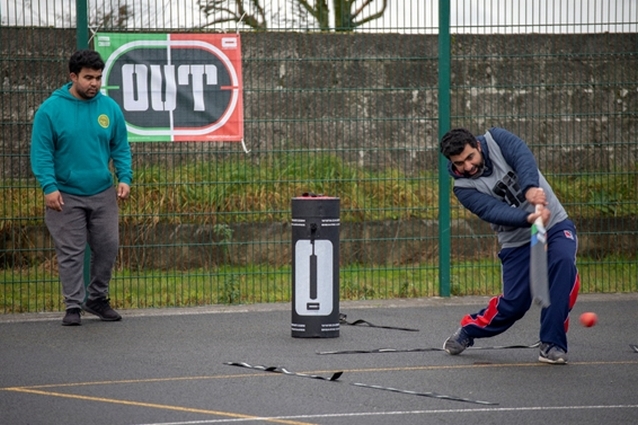 Community coaches from across Connacht were trained up in the rules of the game with members of the public invited along for the first ever game of Cage Cricket played in Ireland. 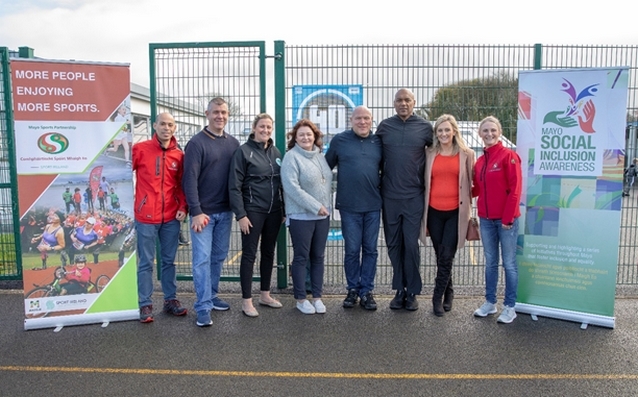 Children really enjoyed the game, with actor and Cage Cricket co-founder Colin Salmon providing a little extra star power to a great weekend. •	Unfamiliar with Cage Cricket? Here’s a short video. Cage Cricket is a fun new game that the Mayo Sports Partnership will be using as a vehicle to promote social inclusion, physical activity, integration and community involvement by delivering to different community groups such as Direct Provision Centres, community youth groups, national schools and active retirement groups. Image: (from left to right) Elmer Pieterse MSP, Gary Stannett ACN, Elaine Nolan from Cricket Ireland, Elizabeth Murphy ACN, Trevor McArdle and Colin Salmon Cage4All, Cora Gilligan Mayo County Council and Janette Slattery MSP.